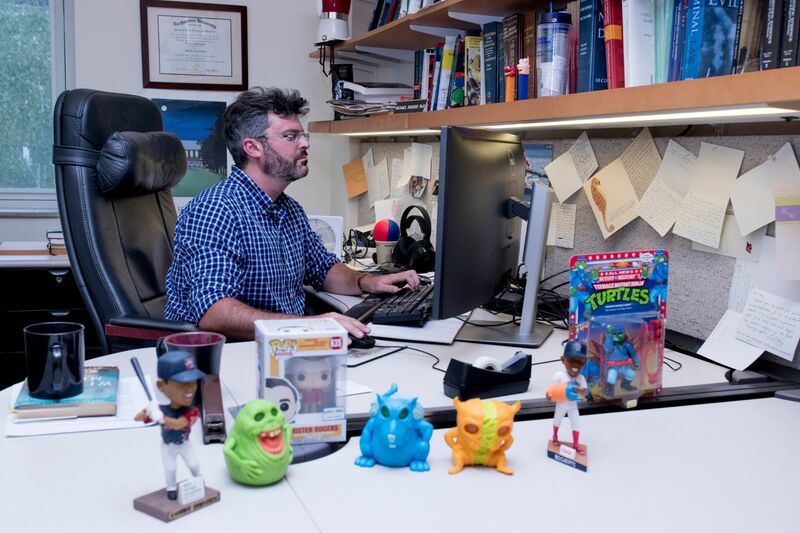 The toys reflect Rocque, from his love of sports to childhood memories. Take Mister Rogers, who “played a large role in influencing who I want to be as a human,” Rocque says. 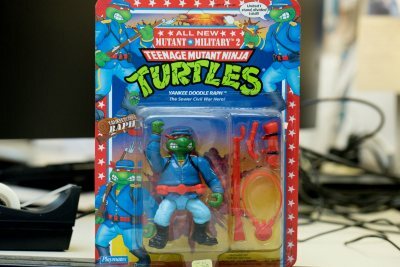 Then there’s a Ninja Turtle, an updated version of a toy that he had as a boy, who’s dressed as a Union soldier and reflects his childhood interest in the Civil War. 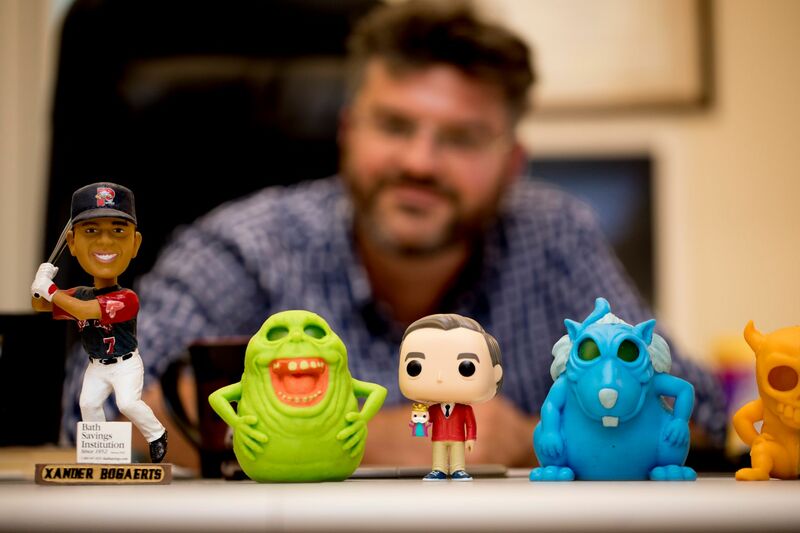 One of his two bobbleheads is a memento from sociology department colleague Mark Owens; the other was a giveaway from the Xander Boagerts Boston Red Sox Splash Bobblehead game he attended with family members this summer. Favorite toys. Above left, Yankee Doodle Raph reflects Rocque’s boyhood love of the Civil War and Mutant Ninja Turtles. 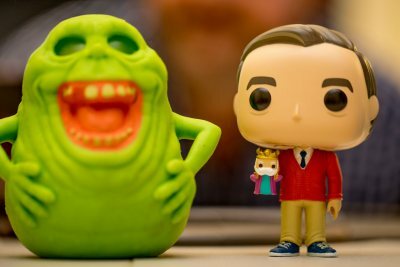 Above right, a “slimer” next to Mister Rogers, whom Rocque considered a childhood hero. (Phyllis Graber Jensen/Bates College) . He makes seasonal additions to his displays, pulling Pez dispensers from his collection for appropriate holidays. And last but not least are his squeezable Ghostbuster toys — perfect fidget toys for students who are studying for finals or are trying to finish their senior theses.